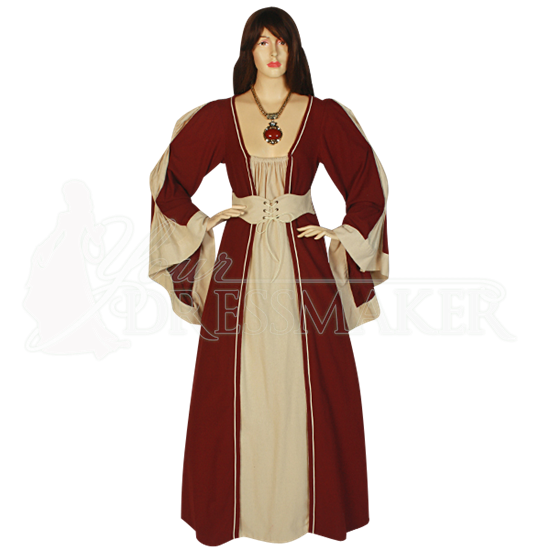 Handmade from 100% natural cotton, the Belted Medieval Dress is an excellent addition to any historic reenactment wardrobe. Comfortable and durable, this historic dress is an essential that can easily adapt to any occasion. The long, voluminous sleeves end in angled, elegantly draping fabric. A one piece dress with the look of two layered pieces, this dress comes in a variety of color combinations, so you can find the style that best suits your needs. The included matching belt features a lace-up closure that can be adjusted to emphasize your waist. To showcase the volume of the skirt, accessorize with an A-line petticoat, sold separately. 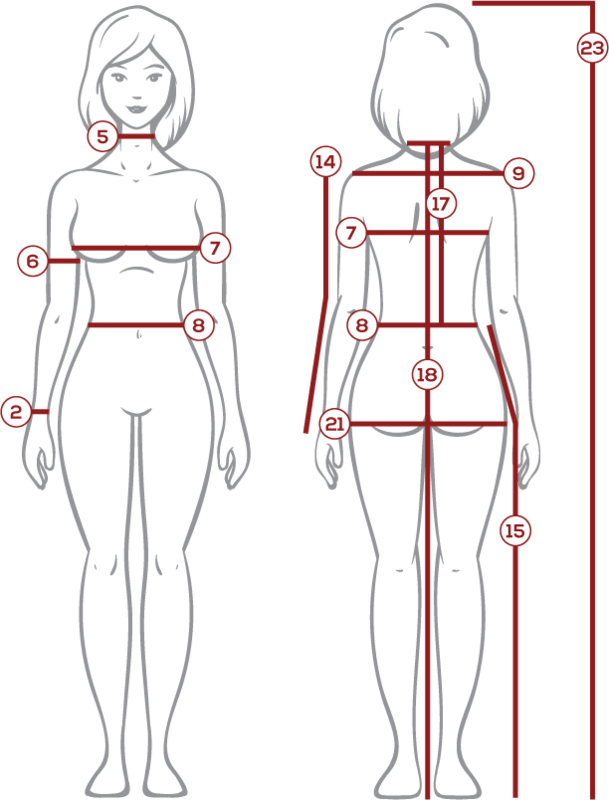 The necklaces shown are not included, but are displayed for effect. 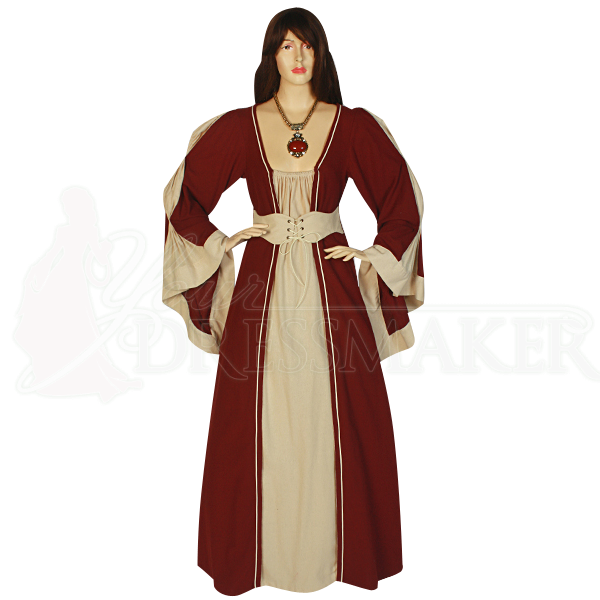 With the right accessories, the Belted Medieval Dress can transform you into a medieval maiden or a regal queen. Wear it to your next LARP event, historic reenactment, or Renaissance festival. When ordering, the first Color dropdown menu is for the main color. The Accent Color is for the front part of the dress, accents on the sleeves, and the waist belt.